This Web Hosting Agreement is between iQWeb Solutions Inc. referred to as “iQWeb Solutions”, “iQWeb”, “us”, “our” or “we”, a company that specializes in web hosting and web designing services and You referred to as “Client” or “the Client”. (ii) maintain and update this information as needed to keep it current, complete and accurate. You, by transacting for this Service represent that your Account Information is accurate and complete. iQWeb Solutions will host Client’s website(s) on a dedicated or shared dedicated servers with an Internet address for storage and access of Content, User Content, and the Website. The Website, Content, and User Content must be “server-ready.” iQWeb Solutions will provide bandwidth and storage as specified in the selected web hosting package. If Client requires additional bandwidth or storage, iQWeb Solutions will negotiate in good faith to amend this Agreement unless iQWeb Solutions’ server computers cannot accommodate the requested bandwidth or storage. Once the client has only paid for web hosting, they will be instructed on how to FTP the files on to the server. iQWeb will not assist the client in installing, setting up the FTP software on their computer or editing their website pages. The client can hire iQWeb at an additional cost if they require assistance in getting the website designed, fixed or updated. Some Web Hosting packages include free domain name registrations, renewals or transfers. Free domain registration is only applicable to new available domain. Domains which are already purchased or the ones which are available for resale are not included in this offer. Clients’ web hosting limits are set as per the package they sign-up for. iQWeb’s servers automatically send reminder emails when clients’ web space usage gets close to the allowed web space or bandwidth limit. If the client does not respect the allocated limit, the server will automatically suspend the web hosting account. Clients are encouraged to upgrade their web space to a higher package they believe they will require more disk space or bandwidth. guarantee on all web hosting packages. If for any reason you are not satisfied with our service with 30 days, we will refund your money. Please note that the domain names and services purchased via third parties are not refundable, or an administration fee may be charged. If you have received a domain name with the web hosting package, upon cancelation within 30 days, the cost of the domain $15 will be deducted from the refund. The domain will be yours to keep. You would be able to sign up with any other web hosting provider using the same domain name. The 30 day money back guarantee does not apply to domain name purchases. If you setup a monitoring tool to monitor your website, you will notice that our servers are online 100% percent. We give 99.9% uptime just in case. You have our guarantee that if your web site is unavailable for any reason for longer than 1% of the time in any calendar month, we will give you 100x of the outage time absolutely free. iQWeb Solutions offer Domain Store to allow search and purchase for domain names only. This tool can also be used to search for domain availability, but web hosting signup form is needed to be filled if signing up for web hosting. All domain store purchases are paid in U.S Dollars; all other services are paid in Canadian Dollars. The client will not send SPAM, or any unsolicited commercial email from our network to promote any website hosted on our network or any related or non-related business using SPAM. iQWeb reserves the right to determine what constitutes SPAM and terminate all services, without prior notice, of any customer disregarding this policy. iQWeb reserves to right to terminate the web hosting service without any refund. iQWeb holds the right to refuse providing any of its services to any user at it’s own discretion. These refusals may be a result of, but not limited to, unsatisfactory references, bad reputation, bad credit history, etc. If the client has already paid and iQWeb refuses to accepts their registration, client’s payment will be reimbursed excluding $20 CDN if any domain name was purchases, registered or renewed. iQWeb Solutions will backup the Website and emails in a commercially reasonable manner. However, iQWeb Solutions is not responsible for lost Content or lost User Content. Website backups will be stored by iQWeb Solutions for no longer than 30 days. iQWeb Solutions will provide, at Client’s expense, an electronic copy of the backup Website to Client upon written request by Client. Backups are intended for disaster recovery, not the restoration of individual files. The client will be provided a link upon request through which they will be able to view website access reports and statistics. The reports and statistics will be stored on the website for at least 3 months. iQWeb Solutions may, at its option, charge a fee to Client for additional space required to store the reports and statistics for extended period of time. iQWeb Solutions will provide hosting services for the Website that meet reasonable commercial standards for, among other matters, packet loss, accessibility, latency, availability, and throughput. If for any reason the website is unavailable for longer than 0.1% in any calendar month, iQWeb will provide maximum of 1 month of free web hosting service to compensate. iQWeb may also offer financial discount at its own descretion. iQWeb Solutions will take commercially reasonable steps to prevent unauthorized access to the Website, Content, User Content, and Confidential Information stored on iQWeb Solutions’ server computers. iQWeb Solutions will employ best efforts in providing advance notice to Client of scheduled server computer/network outages. iQWeb Solutions provides no equipment, software, or communication connections to Client. iQWeb Solutions makes no representations, warranties or assurances that the Client’s software and websites will be compatible with iQWeb Solutions’ hardware and service. Any domain name registered by iQWeb Solutions on behalf of the Client is the property of Client after the Client has paid iQWeb Solutions’ invoice in full. iQWeb Solutions claims no ownership over Client’s domain names that the Client has paid to register. 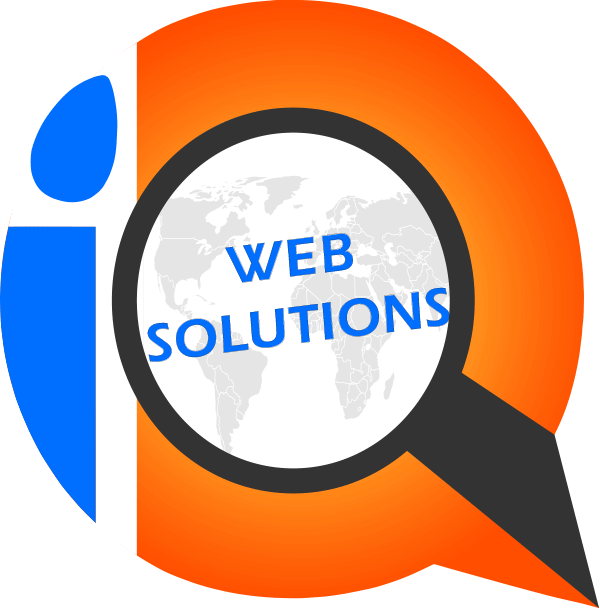 At its option, iQWeb Solutions will either arrange for any billing for names registered by iQWeb Solutions on behalf of Client to be sent directly by the registrar or agent thereof to the Client, or iQWeb Solutions will directly bill the client for these registration fees plus applicable expenses, and/or service charges, if any. Once the client fills up the signup form and makes the payment, the requested domain will be submitted for registration. If the client decides to change the domain name after the domain registration has been submitted for registration by iQWeb, an additional cost of $20 will be required. Client agrees to hold iQWeb Solutions harmless of any action taken by such owner regardless of the outcome of such dispute and regardless of whether Domain Name Service hosting for Client’s domain is hosted at or continued to be hosted at iQWeb Solutions. Client agrees that iQWeb Solutions has the right to discontinue name service in the event of such dispute over a Client’s domain name. Client agrees that should iQWeb Solutions discontinue name service for Client’s domain upon notification of such dispute that that iQWeb Solutions will not be liable for any loss of business, interruption of business, loss of Client’s domain name, or any indirect, special, incidental, or consequential damages of any kind (including lost profits) regardless of the form of action whether in contract, tort (including negligence), or otherwise, even if iQWeb Solutions has been advised of the possibility of such damages. In no event shall iQWeb Solutions’ maximum liability exceed one hundred ($100.00) dollars. Client agrees that a iQWeb Solutions contact person shall be named as the “technical or zone contact” for any domains hosted at iQWeb Solutions. Client agrees that iQWeb Solutions may create and use network resources with the Client’s domain name for administrative, testing, and network infrastructure enhancement purposes. All Content and User Content stored by Client on iQWeb Solutions’ server computers shall at all times remain the property of Client. Client grants to iQWeb Solutions a non-exclusive, worldwide license to the Content and User Content only to the extent necessary for iQWeb Solutions to host the Website. The client must only upload the related contents on their website. No contents shall falsely represent client’s products and/or services. The client must respect others. No contents on the website shall be of hateriate, discriminatory or offensive in nature that may offend others accessing the website. Upon receiving any reasonable complaints, if such has been proved, iQWeb holds the right to temporarily discontinue the web hosting service until the contents are rectified. In such event, iQWeb will not be responsible for any loss occurred to client’s business. Client will only use iQWeb Solutions’ hardware and services for lawful purposes and Client will not store or provide any Content or User Content or link to any material that violates foreign, federal or local law. Should iQWeb Solutions become aware that Client has violated any of above stated laws, iQWeb Solutions may, at its option, remove the Content or User Content in violation, immediately terminate hosting Client’s Website, and/or notify authorities. If hosting is terminated, iQWeb Solutions may, in its sole discretion, reinstate hosting upon adequate showing of Client’s right to use the Content or User Content. Client is responsible for the payment of other service charges occurred with managing the website. Other service charges include but not limited to Internet Usage charges, telephone charges, or any other charges. You expressly represent and warrant that You and any person to whom You grant access to your account have reached the legal age of eighteen. Client shall pay fees agreed upon during account signup or renewal. iQWeb Solutions will invoice the Client on yearly basis. Payment’s due date will be posted on the invoice. Full payment will be due by the due date to activate services or keep active services online. In case of credit card payments iQWeb Solutions will automatically charge Client’s Credit Card on file and all fees associated with the account up to 30 days before renewal. iQWeb Solutions may, at its discretion, charge a 10% fee for late payments if applicable. If the client has paid in advance for web hosting or domain renewal/registration services and decide to cancel the account or terminate certain services, the advance payment will not be reimbursed. In an event of returned or bounced checks or declined credit cards iQWeb Solutions will charge the Client 5% to 10% bounced check or declined credit card fee. Fee percentage will be decided at our own discretion based on the banking or other associated fees. It is client’s responsibility to maintain accurate contact and billing information with iQWeb Solutions. This includes name, phone number, email address(es), mailing address and credit card information. All communications from iQWeb Solutions will go to the email address which was used when signing up until updated. These communications also include account renewal notices. It is client’s responsibility to keep the contact information updated so they do not miss any renewal notices. Client is solely liable for any taxes or fees payable for products or services sold by Client on the Website. You agree, during the period of this Agreement, that we may: (1) revise the terms and conditions of this Agreement; and (2) change the service provided under this Agreement. Any such revision or change will be binding and effective immediately on notification to you by e-mail or regular mail. If you do not agree with any revision to the Agreement, you may terminate this Agreement at any time by providing us with notice by e-mail or regular mail. Notice of your termination will be effective on receipt and processing by us. You agree that, by continuing to use the Service following notice of any revision to this Agreement or change in service, you shall abide by any such revisions or changes. This Agreement will automatically renew on an year-to-year basis until Client’s account is active with iQWeb Solutions. If the client decides to terminate the web-hosting contract with iQWeb Solutions a written e-mail or regular mail notice will be required. Upon receiving such notice iQWeb Solutions will confirm the receipt of the notice in a reply. If the Client terminates the web hosting contract the advance payment for the remaining months will not be reimbursed. iQWeb Solutions may immediately terminate this Agreement for cause at any time without penalty. Causes justifying immediate termination include, but are not limited to: violation of any foreign, federal or local law; non-payment of fees due; breach of this Agreement and any written modifications thereof; and violation of any other iQWeb Solutions policy. iQWeb Solutions may terminate this Agreement without cause at any time upon thirty (30) days written notice to Client. In such event a notice will be sent to the Client via e-mail or regular mail. In this case the advance payments for the remaining months, until the renewal date, will be reimbursed. You agree that our entire liability, and your exclusive remedy, with respect to any Service(s) provided under this Agreement and any breach of this Agreement is solely limited to the amount you paid for such Service(s). We and/or our contractors shall not be liable for any direct, indirect, incidental, special or consequential damages resulting from the use or inability to use any of the Services or for the cost of procurement of substitute services. Because some jurisdictions do not allow the exclusion or limitation of liability for consequential or incidental damages, in such jurisdictions, our liability is limited to the extent permitted by law. We disclaim any and all loss or liability resulting from, but not limited to: (1) loss or liability resulting from access delays or access interruptions; (2) loss or liability resulting from data non-delivery or data mis-delivery; (3) loss or liability resulting from acts of God; (4) loss or liability resulting from the unauthorized use or misuse of your account identifier or password; (5) loss or liability resulting from errors, omissions, or misstatements in any and all information or services(s) provided under this Agreement; (6) loss or liability resulting from the interruption of your Service. You agree that we will not be liable for any loss of registration and use of your domain name(s), or for interruption of business, or any indirect, special, incidental, or consequential damages of any kind (including lost profits) regardless of the form of action whether in contract, tort (including negligence), or otherwise, even if we have been advised of the possibility of such damages. Should iQWeb Solutions be legally separately incorporated, acquired, taken over or merged with another company, the new entity will be deemed to have taken over all responsibilities of iQWeb Solutions with regards to this contract, with the contract remaining in full force and effect. You agree to release, indemnify, and hold us, our contractors, agents, employees, officers, directors and affiliates harmless from all liabilities, claims and expenses, including attorney’s fees, from claims by third parties, including but not limited to events relating to or arising under this Agreement, the Services provided hereunder or your use of the Services, including without limitation infringement by you, or someone else using the Service with your computer, of any intellectual property or other proprietary right of any person or entity, or from the violation of any of our operating rules or policy relating to the service(s) provided. When we are threatened with suit by a third party, we may seek written assurances from you concerning your promise to indemnify us; your failure to provide those assurances may be considered by us to be a breach of your Agreement and may result in cancellation of your Service. You agree that failure to abide by any provision of this Agreement, may be considered by us to be a material breach and that we may provide a written notice, describing the breach, to you. If within thirty (30) calendar days of the date of such notice, you fail to provide evidence, which is reasonably satisfactory to us, that you have not breached your obligations under the Agreement, then we may cancel Service. Any such breach by you shall not be deemed to be excused simply because we did not act earlier in response to that, or any other, breach by you. We, in our sole discretion, reserve the right to refuse Service within ninety (90) calendar days from receipt of your payment for such services. We agree to refund your applicable fee(s). You agree that we shall not be liable to you for loss or damages that may result from our refusal to provide Service. and in the case of notification to you shall be to the address specified in our records as your “Account Information”. No agency, partnership, joint venture, or employment relationship is created by this Agreement and neither party has the power to bind the other party. In the event that any legal action becomes necessary to enforce or interpret the terms of this Agreement, the prevailing party shall be entitled, in addition to its court costs, to such reasonable attorneys’ fees, expert witness fees and legal expenses as may be fixed by a court of competent jurisdiction. This Agreement shall be governed by and interpreted and enforced in accordance with the laws of the Province of Ontario and the laws of Canada applicable therein without reference to rules governing choice of laws. Any action relating to this Agreement must be brought in the Province of Ontario, and you irrevocably consent to the jurisdiction of such courts. If you have any questions regarding the information on this page please contact iQWeb Solutions. BY SIGNING UP YOU ACKNOWLEDGE THAT YOU HAVE READ THIS AGREEMENT AND AGREE TO ALL ITS TERMS AND CONDITIONS. YOU HAVE INDEPENDENTLY EVALUATED THE DESIRABILITY OF THE SERVICE AND ARE NOT RELYING ON ANY REPRESENTATION AGREEMENT, GUARANTEE OR STATEMENT OTHER THAN AS SET FORTH IN THIS AGREEMENT. The current promotion of $20/domain for .co domain registration is only available until June 30, 2011 and is applicable to new domain registrations only. Renewal of .co domain would be at its regular rate of $30. This promotion cannot be combined with any other promotion or special offer. Taxes are extra. © Copyright 2006 - iQWeb Solutions All Rights Reserved. iQWeb is a registered trademark of iQWeb Solutions Inc.